Kevin Harvick is heading to the Irish Hills of Michigan with Jimmy John’s on the hood of his No. 4 Ford Fusion for Stewart-Haas Racing (SHR) for Sunday’s FireKeepers Casino 400 Monster Energy NASCAR Cup Series Race at Michigan International Speedway in Brooklyn. The driver of the No. 4 Ford has taken the Jimmy John’s motto of “Freaky Fast” to a whole new level in 2018. Starting on Fridays, Harvick has won two Busch Pole awards and started on the front row six times thanks to his qualifying efforts. He has been just as freaky fast on race day, scoring a series-best five points-paying wins and a win in the Monster Energy NASCAR All-Star Race. 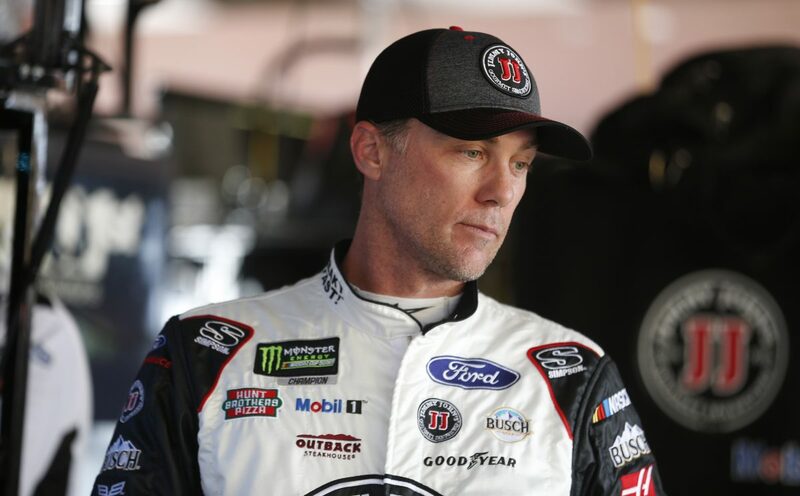 Harvick has led a series-best 909 laps, which ranks as the fourth-best single-season total of his career – and there are 22 races remaining. He leads the series with 10 top-five finishes and is tied for the series lead with 11 top-10s and 25 playoff points. Those numbers are likely to continue on the 2-mile Michigan oval, where Harvick and the No. 4 team have been among the best in the series in recent years, scoring top-five finishes in seven of their last 10 starts there and leading the series with 372 points and an average starting position of 7.6. Harvick scored four consecutive second-place finishes at Michigan from June 2013 through August 2014. He was runner-up to Greg Biffle by 2.989 seconds in June 2013. In August 2013, Harvick finished 1.018 seconds behind Joey Logano. In 2014, he followed Hendrick Motorsports drivers Jimmie Johnson and Jeff Gordon across the finish line in the June and August races, respectively. That’s four races, four second-place finishes, to four different drivers. Harvick scored back-to-back top-five finishes at Michigan in 2016. In June, he started 29th and raced his way to a fifth-place finish. His next start in August, he started fourth, led 33 laps and finished fifth. For his career, Harvick has been to victory lane at Michigan in each of NASCAR’s top three national touring series. He scored an Xfinity Series win at Michigan in August 2003, when he led 10 laps and beat Kasey Kahne to the finish line under caution. His NASCAR Cup Series win came in August 2010, when he led 60 laps and outran Denny Hamlin to the finish line by 1.731 seconds. He scored a NASCAR Camping World Truck Series win in August 2011, when he led 13 laps and finished ahead of Timothy Peters as the race ended under caution. The 2014 NASCAR Cup Series champion would like to add a fresh Cup Series win to his resume Sunday at Michigan. A win would give Harvick a new single-season-best sixth points-paying win and would add to his series-best 25 playoff points as he continues his march toward NASCAR’s 2018 playoffs.